Ellie Duggan is getting married in seven weeks. 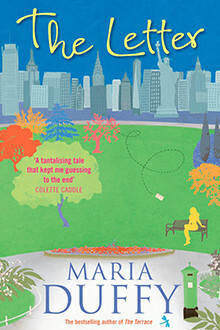 But just before she sets off for a fun-filled New York hen party weekend, she finds a letter addressed to her sister Caroline.Dated only weeks before Caroline died in a tragic accident, it contains some startling information which forces Ellie to face some truths about herself, Caroline’s death – and even her forthcoming marriage. Ellie has spent the three years since Caroline’s death running from the truth. But as the weekend in New York comes to a close, she makes a drastic decision. As Ellie finally lays old ghosts to rest, she realises that the truth can set you free. But will she be willing to take the risk?